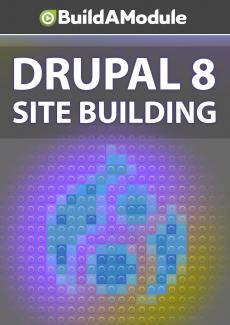 In order to mimic the search functionality that comes with core Drupal, we'll need to create block that users can search from. Here we demonstrate how to use an interesting feature to pull exposed filters into a block, and then configure the block to display both in the sidebar and above the search results. So this looks good, except we want to also display this form in a sidebar that shows up across the site, like the core search block here. Let's go back to our view, the way we can do this with views is by exposing the form in a block. So let's set this to "yes" instead of "no" and click "apply.
" When we do this it's going to move the exposed filter into a block, and then we'll have to manually place it where we want to display it, because it's now in a block, we're not going to see it in the preview anymore. Let's click save. Now because it's a block, we'll be able to display it in two different places, based on different criteria.